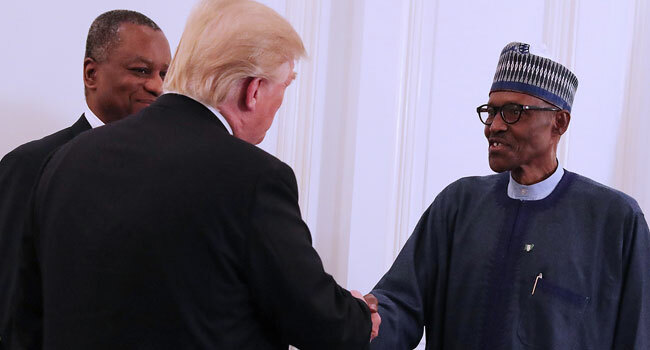 FILE PHOTO: U.S. President Donald Trump greets President Muhammadu Buhari. President Muhammadu Buhari will meet Donald Trump in Washington on April 30 to discuss issues including “fighting terrorism” and economic growth, the White House announced Sunday. Nigeria was among the countries included on Trump’s ex-secretary of state Rex Tillerson’s Africa tour last month — though the former Texas oilman cut short the trip just before the US president sacked him.